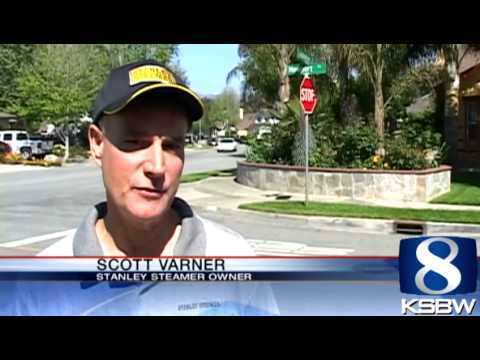 Salinas is a passenger rail station in Salinas, California, United States. The depot, constructed in 1941 by the Southern Pacific Railroad, exhibits a pared down Spanish Revival style as influenced by the then-popular Art Deco movement. Spanish Revival elements include the red tile roof and stuccoed walls, while the Art Deco influence is visible in the rectilinear composition and clean lines. Of the 74 California stations served by Amtrak, Salinas was the 51st-busiest in FY2012, boarding or detraining an average of approximately 54 passengers daily. 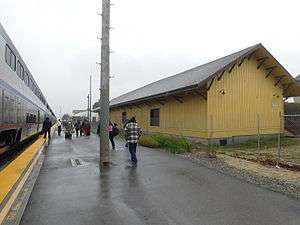 Greyhound moved its Salinas station here in 2015.